Brain activity. Artwork of an electroencephalo- gram trace superimposed on a brain scan. These brainwaves are the small electrical fluctuations produced by the active brain. They can be measured by placing electrodes on the scalp. 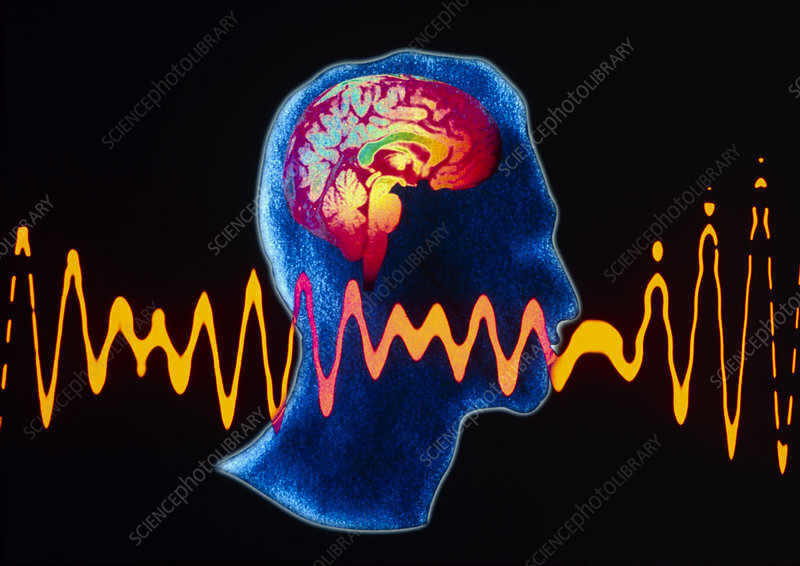 Changes in the appearance of brainwaves can be used to confirm diagnoses of certain disorders, for instance epilepsy and Alzheimer's disease.